A proposed referendum aimed at making it easier to prosecute politicians guilty of corruption managed to pass the muster of Hungary’s National Election Commission, even though the group’s Fidesz delegate fiercely opposed the anti-corruption initiative. Yet just when it seemed that Hungarian voters would have a chance to vote on the proposal to increase the time limit to prosecute corrupt politicians to 12 years, a mysterious and anonymous lawyer decided to stall the process by submitting an appeal to the Curia, Hungary’s supreme court. The referendum question, submitted by economist Gábor Vágó, a former MP for the Politics Can Be Different (LMP) green party, reads: “Do you agree that the punishability of a crime of corruption should expire after at least twelve years?” Currently in Hungary, most corruption charges cannot be prosecuted if more than five years have passed. When the National Election Commission voted on whether to accept the proposal and allow for Mr. Vágó to begin collecting the necessary number of signatures to launch a referendum, the committee was evenly divided and it was the chair, András Patyi, who broke the tie and voted in favour of the proposal moving ahead. The fact that the proposal went through was surprising, as the National Election Commission has a tradition of rejecting almost any submission that may be unpleasant for the governing Fidesz party. In fact, out of 96 proposals submitted this year, mainly by opposition groups, the National Election Commission accepted only two. And one of these was a totally innocuous proposal to make December 24th a statutory holiday. Most Hungarians celebrate Christmas Eve with family, but most shops and offices in Hungary are open for a half day on December 24th. Mr. Vágó must now wait for the wheels of the Curia to turn and decide whether to accept or deny the appeal against the proposed referendum. He cannot legally begin collecting signatures for the proposed referendum until the anonymous lawyer’s appeal has been rejected. The Curia did not disclose the name of the lawyer who is opposing the initiative to journalists from Népszava, when they inquired about the situation. It is, however, expected that the Curia will rule on the issue in September, shortly after their summer recess. Mr. Vágó and his supporters intend to begin collecting signatures if the Curia rules in his favour. He will have help from the Hungarian Socialist Party, LMP, as well as the Együtt and Párbeszéd parties and the Two Tailed Dog Party. Mr. Vágó and his partners are actually hoping to spark a national referendum not only on the anti-corruption question, but also on a proposal to cap the salaries of people in leadership at state-owned companies to the salary of Hungary’s head of state. Many of our readers will recall how Fidesz ensured that a referendum proposed by a Socialist politician could not be submitted. MSZP attempted to spearhead a referendum to repeal the highly unpopular mandatory Sunday store closures that the Orbán government had introduced. 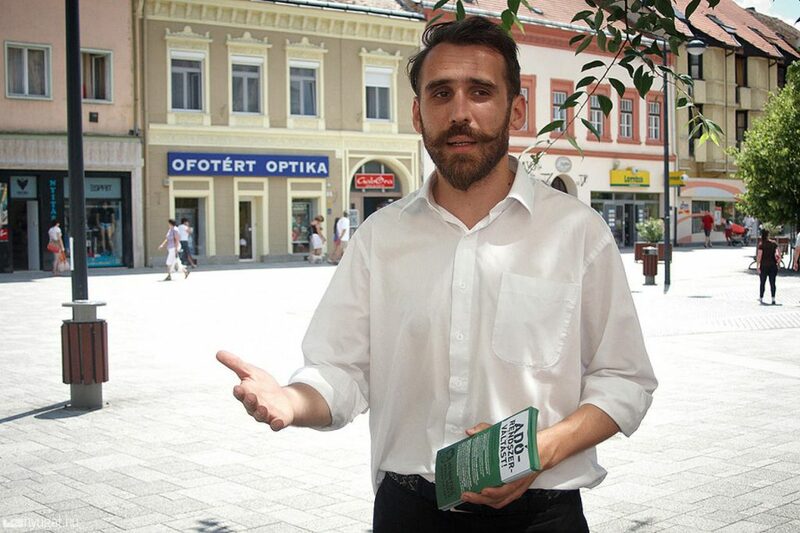 When Socialist MP István Nyakó arrived at the headquarters of the National Election Office to submit his proposal, the entrance was blocked by a group of thugs and skinheads. The thugs allowed an elderly woman, who happened to be the wife of a Fidesz mayor, to enter the building and submit her own phoney referendum question on the same issue that Mr. Nyakó had targeted, thus allowing election officials to stop Mr. Nyako from submitting his question until the one submitted just before him was examined and discussed. The incident enraged even some conservative pundits who called the situation a mockery of democracy. If the anonymous lawyer’s appeal is accepted by the Curia and the proposed referendum is scrapped, that will be yet another slap in the face of whatever is still left of the rule of law in Hungary. So, this very case proves that there is NO democracy in Hungary. At least NOT in the case of public initiatives. If there was such a thing, they collect the legally set petition and register it to be on the next ballot. The High Court can and may rule only on the Constitutionality of any actions under the laws. At least that’s how it normally work under a democratic system. But, of cause, in Hungary everything goes in a back-handed manner. I bet there is NOT going to be a referendum on this or any corruption related question. The initiative will be stalled one way or the other.